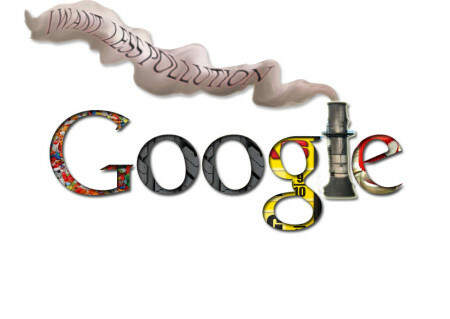 Did you know that one Google search creates CO2 emissions of at least 1g? And Chris Goodall, author of Ten Technologies to Save the Planet, even estimates the carbon emissions of a Google search to even be more like 7g to 10g (assuming 15 minutes’ computer use). Wissner-Gross has also calculated the CO2 emissions caused by individual use of the internet. His research indicates that viewing a simple web page generates about 0.02g of CO2 per second. This rises tenfold to about 0.2g of CO2 a second when viewing a website with complex images, animations or videos. Nicholas Carr, author of The Big Switch, Rewiring the World, has calculated that maintaining an avatar in the Second Life virtual reality game, requires 1,752 kilowatt hours of electricity per year. That is almost as much used by the average Brazilian. But what’s much worse is that Google through its business model (AdWords/AdSense) has created a never-ending pollution engine for the World Wide Web. Since there’s is is money to be made by having a page show up in Google’s search results an entire industry sprung up our off nowhere (SEO). And every single ‘contributor’ to that industry has only one goal in mind: how can I get my page to show up on top of Google’s result to sell what I have to offer. To this day the Google algorithm still employs a largely popularistic approach: mainly a page’s importance is measured by how many other pages/sites point (link) to it. Every other aspect of the logic just provides nuances. So, just like 85% of all emails sent are SPAM, it is very likely that 85% of pages on the World Wide Web are SPAM and a lot of it is being presented to you by Google (and of course any other search engine) as legitimate content. Just ask yourself: if you search for ‘best cell phone’, ‘best car loan’ – what do you expect to find? A legitimate research paper?